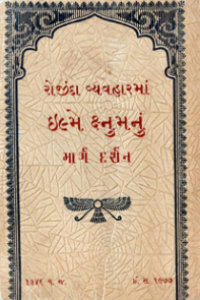 There is a veritable treasure trove of books of Khshnoom available in Gujarati. 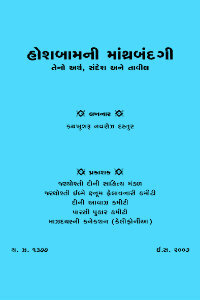 The majority of the writings are of Dr. Saheb Framroze S. Chiniwalla. Other authors include Ervad Phiroze S. Masani, Jehangirji S. Chiniwalla and of course, the Master, Ustad Saheb Behramshah N. Shroff himself. These are available on their respective pages. We present here some other important books. This very important book was written by Banu Kaikhushroo Mody, a close disciple of Ustad Saheb and the lady who used to transcribe his lectures and notes for him. This is the only book where Ustad Saheb has himself written the foreword. The Sarosh ni Kusti is the original and correct way of doing the Kusti which was taught by the Abed Sahebs of Demavand to Ustad Saheb. Ustad Saheb then reintroduced it in the community. 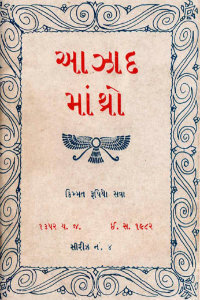 The book details the correct method of performing the Kusti, along with the correct Mithra, or thought capsules which have to be passed on specific actions. Doing this Kusti can really change your life. This book is invaluable. The Official Dictionary of Khshnoom. 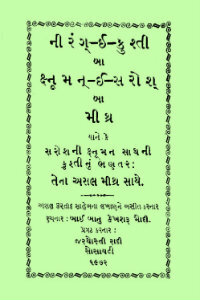 This incredibly important book was authored by late Vada Dasturji Meherji Kekobad Meherjirana of Navsari. To know more about Dasturji read THIS article. Dasturji combined his over 50 years of Khshnoom reading with an avid ability to take notes and make index entires, to compile this disctionary of all Khshnoom technical words, which often confuse the new reader. Not content with merely explaining the words, Dasturji gives references to where the words are found. Specially important words are given their own detailed treatment in an appendix. This is such an important and useful book that serious students always wonder how they got by without it. A lifetime’s work, truly Dasturji’s gift to the community. This mammoth book of over 800 pages is one of the most significant gifts of Ervad Phiroze S. Masani to the community. 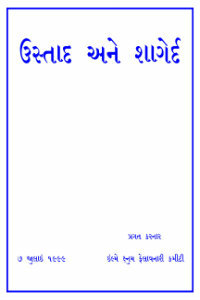 It contains the experiences, opinions and thoughts of 34 different persons who came into contact with Ustad Saheb and who were willing to write about it. These articles show the great expanse of knowledge which Ustad Saheb had and the wide circle of disciples he accumulated. Some of these articles can move one to tears, because they are intensely personal and convey the anguish and pain which the authors felt when Ustad Saheb passed away. A really magnificent volume which should be read by all those who want to know who Ustad Saheb really was. 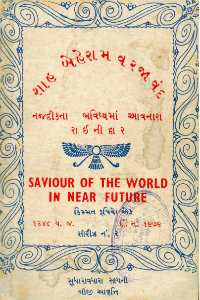 The printed version of this volume is still available at the office of the Zoroastrian Radih Society at Fort, Mumbai. 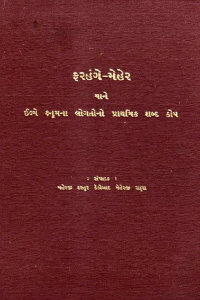 This crucial book is composed out of a series of articles written by Jehangirji Chiniwalla in the Parsi Avaz magazine from 1950 to 1952. 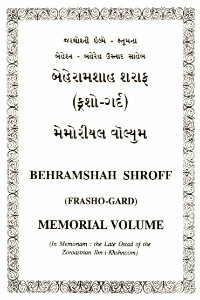 In the articles, Jehangirji began serializing, for the first time, all the incidents in the life of Ustad Saheb Behramshah N. Shroff as was known to him or recollected from others and of course based on many discussions he had himself with Ustad Saheb as a young boy. Beginning with his birth and childhood, Jehangirji traces the fascinating journey of Ustad Saheb to Peshawar, his meeting with the Abed Sahebs and his journey thence to Demavand. Jehangirji then gives the detailed descriptions of the various parts of Demavand and Ustad Saheb’s life there. Then the move back to India and the years of silence there. Jehangirji then traces the beginning of Ustad Saheb’s mission, his successes and failures and the establishment of the Ilm-e-Khshnoom movement in India. The later parts of the book recount some of the undesirable and unfortunate events which took place in the last years of the Master’s life and many details of the happenings after his death. This book is an invaluable resource for any student. My own book on the life of the Master is based on this series. Great and easy reading. 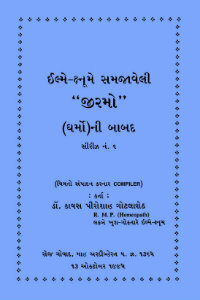 This important and very useful book has been complied by Ervad Savak S. Madon, an old Khshnoomist of Navsari. A voracious reader and excellent compiler, Ervad Madon has given yeoman service to the cause of Khshnoom education. In this book, he has collated all the various charts and diagrams present in each and every Khshnoom book printed so far, making it an invaluable resource for every serious student. Just looking at and reading the charts can itself be a very educative experience. 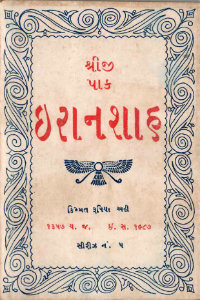 The standard book on Zoroastrian Tarikats and living the Zoroastrian way of life, as explained and revealed by Ustad Saheb, this extremely detailed and comprehensive book was written by an enthusiastic Khshnoom lover called Bomanji Burjorji Rivetna. Starting with the Tarikat to observe as soon as one leaves the bed in the morning to each and every activity of the day, Mr. Rivetna has spared no detail and exactness in giving Parsis an idea of what a real Zoroastrian way of life is. Many today might snigger at Mr. Rivetna’s fastidiousness or roll their eyes at his stern admonitions regarding minutaie, but reading this book will give readers an idea about how comprehensive our religious code of conduct is, and how far we have moved away from it. This exhaustive treatise on the early dawn prayer of Hoshbam is written by Vada Dasturji Kaikhushroo Navroze Dastoor Meherjirana, a profound scholar of Khshnoom and close disciple of Seth Jehangirji Chiniwalla for many years. Dripping with devotion, scientific content and inner meanings, the book demonstrates the depth of knowledge available in Khshnoom and how even a simple and short prayer can be loaded with such profound depth. This book was authored by Bahmanshah Dosabhai Hakim, one of the Master’s closest disciples. To know more about him, please read THIS article. In this slim volume, Bahmanshah recounts the many miracles which happened in his life after his meeting Ustad Saheb. Many of his experiences can be difficult to believe in these times, but his simplistic way of writing and inherent honesty shine through every page of the book. This is a great book to read and wonder at the miracle that was Ustad Saheb. Very easy reading. This small book is a compilation of the important Baj prayers that should accompany a practicing Zoroastrian’s daily life. 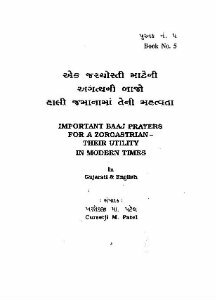 For example there are Baj prayers for getting up in the morning, before visiting the toilet, accompanying the bath ritual, before and after cutting nails or hair, taking food, after a nocturnal emission, the Baj for applying Taro etc. which are essential practices almost totally forgotten today. The book is essential reading for any Parsi who wishes to go back to his roots and follow the true Zoroastrian way of life. 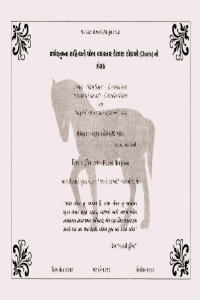 In effect, this is a condensed version of the Zoroastrian Life Procedure Code book shown above. 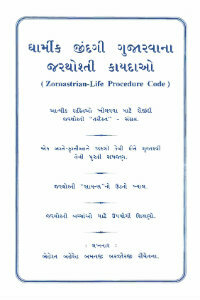 A beautiful and very handy small book which answers many practical questions in a Zoroastrian’s daily life. Very easy and essential reading. A short book detailing the majesty of Iranshah and the many secrets behind its consecration and its glorious future. An important books detailing all the secrets relating to the birth and advent of the saviour. Very interesting reading. 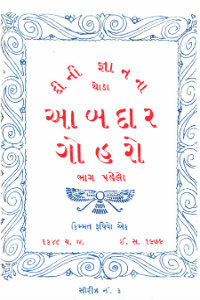 The Yatha, Ashem and Yenghe Hatam are known as the Azad Manthras – that is, prayers which can be recited at any time in any condition by any Parsi. 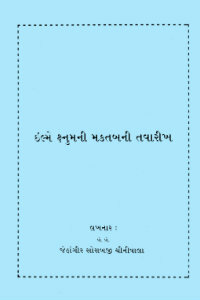 This short book explores the greatness behind these Manthras and their efficacy. This very short book contains the answers to some tricky questions put by Dr. Gotlaseth to Dr. Chiniwalla and some really interesting titbits of Khshnoom. This book details the inner meaning of one of the most important pillars of the Religion – Jirum – the seed, the essence of every faith. Dr. Gotlaseth recounts some very interesting questions and their answers on this difficult topic.